Flowcharts visualize a process or algorithm of program as step/operation blocks of various shapes connected with arrowed lines showing the process flow direction. They are often used to visualize business and technical processes as well as software algorithms. 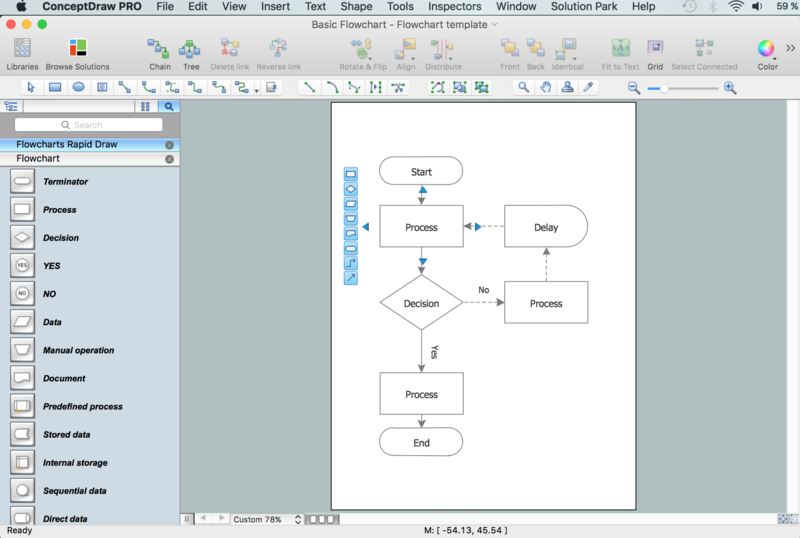 ConceptDraw DIAGRAM is a Flowcharts designing software. This software includes professional drawing package of samples and templates. 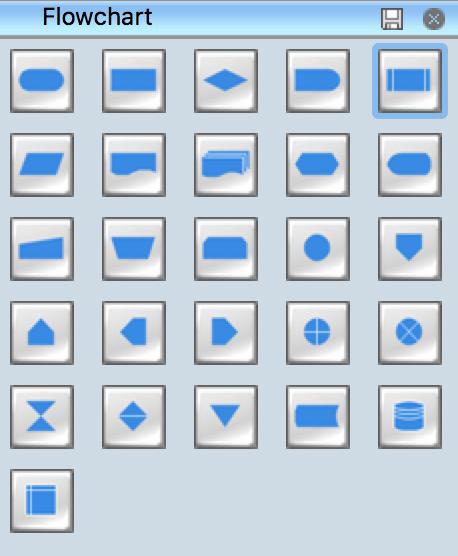 Over 20 vector stencils in the libraries allow you to make great-looking flowcharts. Use RapidDraw technology clicking on direction arrows to add new object to the flowchart. 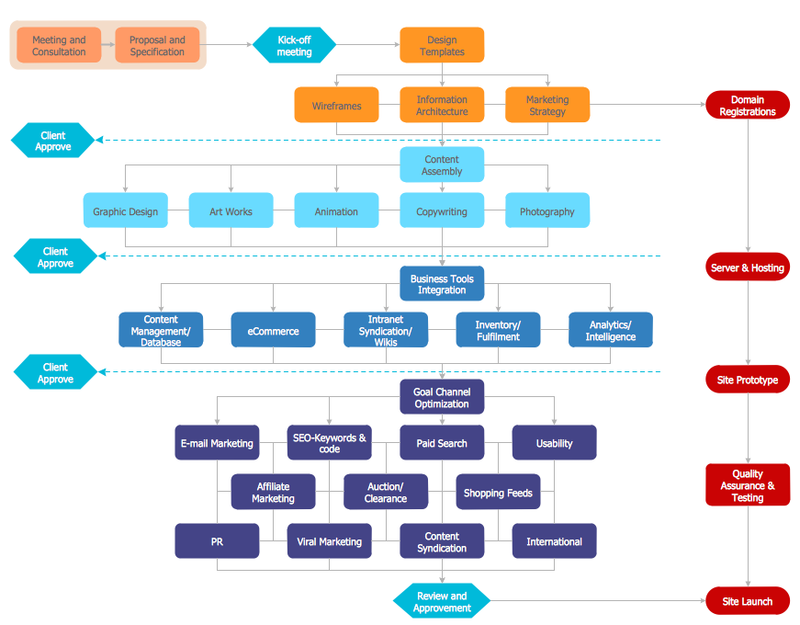 This way you are able to make awesome flowchart in seconds. This diagram was created in ConceptDraw DIAGRAM using the Flowchart Rapid Draw Library from the Flowchart Solution. An experienced user spent 20 minutes creating this sample. This flowchart sample provides a structure for business analysis that identifies a set of common stages in the life of a commercial product. This diagram is visually divided by blocks that describe the life cycle phases. For easier reading of the process definition each shape has its own color. 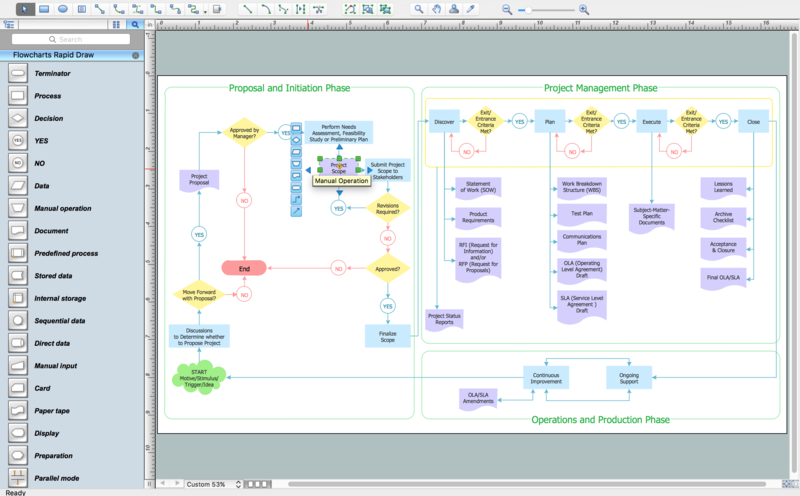 Use ConceptDraw DIAGRAM diagramming and business graphics software to draw your own business process flowcharts. This sample shows the Polar Graph. The Polar Graph is a graph in the polar coordinate system in which the each point on the plane is defined by two values - the polar angle and the polar radius. The certain equations have very complex graphs in the Cartesian coordinates, but the application of the polar coordinate system allows usually produce the simple Polar Graphs for these equations. This sample was created in ConceptDraw DIAGRAM v12 diagramming and vector drawing software using the Flowcharts solution from the What is a Diagram area of ConceptDraw Solution Park. This sample shows the Flowchart on that it is displayed the process of the determination the permissibility according the Access Copyright license. The diamonds represent the decision points. Inside the diamonds are the questions that need the answer yes/no. It is necessary to answer on the question, make the decision that will determine the next step. The vector stencils library UML Use Case contains specific symbols of the UML notation such as actors, actions, associations and relationships for the ConceptDraw DIAGRAM v12 diagramming and vector drawing software. This library is contained in the Rapid UML solution from Software Development area of ConceptDraw Solution Park.